Canyon Ranch offers some of the best views in the entire area. This huge parcel of Texas Hill Country land offers huge oak trees, seasonal creeks, and great views. This easy build homesite in East Ranch offers mature oaks, quick access to Hwy. 46 and the new Fitness Club! Enjoy beautiful mature oaks on this level homesite in the East Ranch neighborhood! Enjoy the long Hill Country views and privacy of this beautiful 2 acre homeiste in the gated neighborhood of Canyon Ranch! Discover amenity-rich living in the Texas Hill Country. With rolling hills, Texas sunshine, and a host of outdoor opportunities, the Texas Hill Country charms visitors and residents alike. Vintage Oaks communities provide beauty and serenity for every lifestyle. This New Braunfels community features over 3,300 acres of land with amenities you’d expect to see in the finest resorts. The community is made up of several neighborhoods, each with its own distinct personality. We have sites for new homes that range from one to 14 acres, so you have plenty of options for building your dream home. Canyon Ranch – This neighborhood is a private, gated community at high elevation for Hill Country views. Lots are between one and seven acres and are heavily wooded. Give yourself a green belt to create a feeling of seclusion and privacy. Residents enjoy access to the community clubhouse, swimming pools, lazy river, walking trails, and more. The Reserve – Lots are on a cul-de-sac and within walking distance of the Vintage Oaks Amenity Center. With a private entrance off Highway 45, the Reserve is only 45 minutes from Austin and 30 minutes from San Antonio. Enjoy a peaceful Hill Country Lifestyle while staying close to everything big cities have to offer. Timber Ridge – These homesites are an acre or more and offer a heavily-wooded location for you to build your dream home. They provide hilltop views and are located toward the back of the Vintage Oaks community for even more privacy. East Ranch – Our newest offering features greenbelt homesites with one to two acres and breathtaking views. Walk to the Future Fitness Club for resort-style amenities. Buy your dream site now and build when you’re ready.  See why Vintage Oaks is Comal County’s fastest-selling community. For a tour of Vintage Oaks or for more on current listings, contact us today.